There was a beautiful spread on Moby’s $2 million renovation of Wolf’s Lair in the New York Times yesterday. The castle is not only restored structurally but redecorated in an understated and tasteful way. I wouldn’t have expected anything less. The retaining wall is also white, a risky move in an area known for tagging. 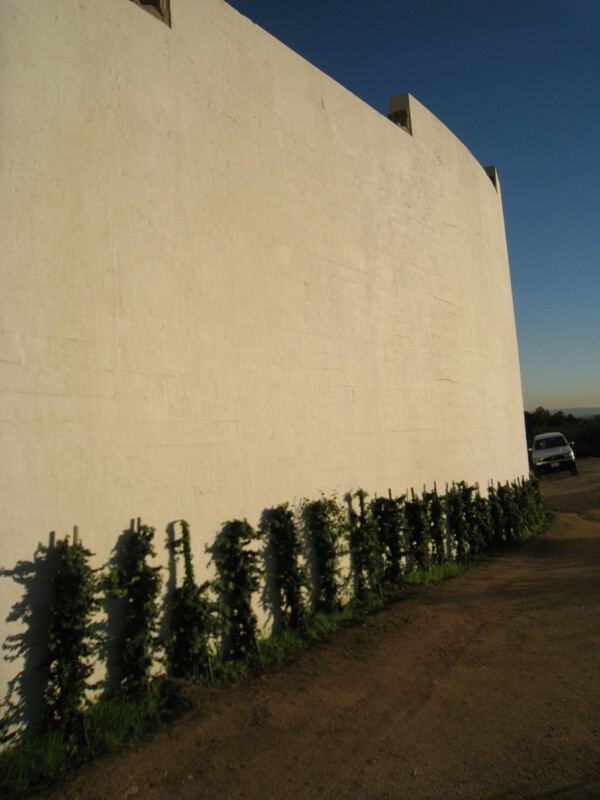 Fortunately, vines have been planted along its base; eventually, they will turn the wall into a giant topairy. Over at Wolf’s Lair, the extensive repair work continues. The new owner, Moby, has undertaken the kind of crucial and costly structural work–reframing exterior walls, replacing windows–that most homeowners would skip altogether. While remaining faithful to the original design, he is essentially rebuilding an old estate. It must have needed it. Onward, toward the end of renovations–and two festive housewarming parties! 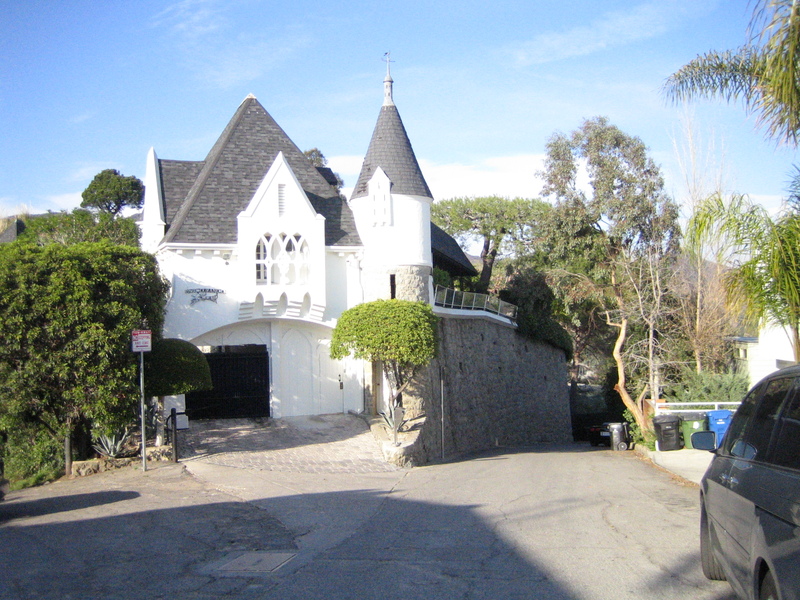 I promised a certain realtor not to write about it until after escrow closed–not that LACurbed and the LA Times didn’t–but now that it’s official I can say this: the new owner of Wolf’s Lair is a New Yorker named Richard Melville Hall. He’s also known as Moby. 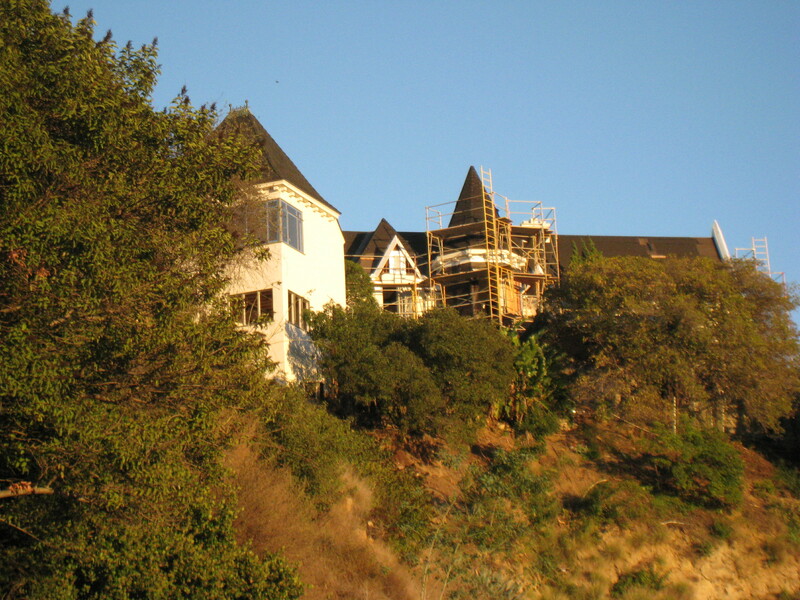 This week, he takes possession of a 1927 storybook manor with sweeping views of Lake Hollywood and the Hollywood Sign, a guesthouse by John Lautner, a pool, 3 acres of grounds and a subterranean speakeasy. Properties of historical and architectural significance cry out for owners with the means and sensibility to restore and care for them. In this regard, Moby is ideal: a successful, work-at-home artist who has already expressed his commitment to Wolf’s Lair’s improvement. It also doesn’t hurt that we neighbors might be less likely to mind hearing his noise bounce around the Canyon than anyone else’s. In a natural amphitheater like Beachwood, the quality of the music really matters. 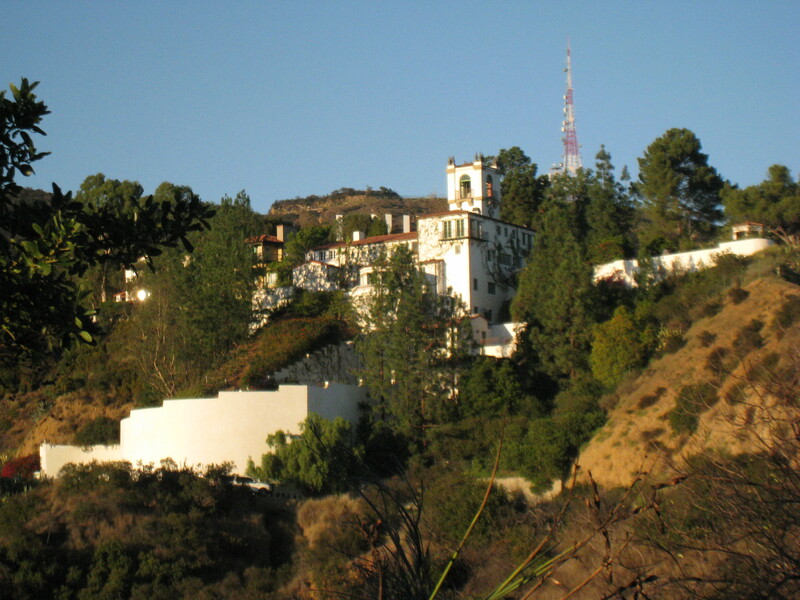 You are currently browsing entries tagged with Moby at Under the Hollywood Sign.